I tagged along as Jon tried to find a Mulan costume for his themed ultimate frisbee tournament this weekend. 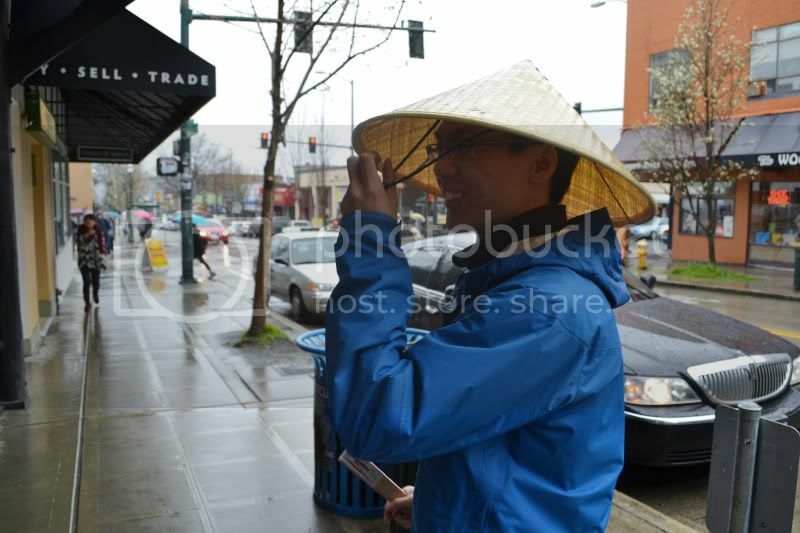 After not really finding anything Mulan-worthy, he found this straw hat, which turned out to be rainproof. Sort of.